He's arguably Humboldt's most famous semi-native son. 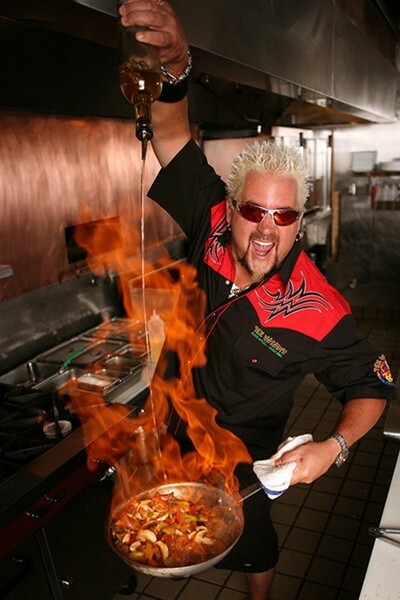 Since winning the title "The Next Food Network Star" in 2006, Ferndale-raised Guy Fieri has become more than a star foodie -- he's a phenomenon. Most recently seen pimping Ritz crackers on ubiquitous TV commercials (and in a new recipe contest), he's also a spokesman for AFLAC, the host of the TV game show Minute to Win It, as well as the ongoing Food Network hit Diners, Drive-Ins and Dives. What happens when Guy comes to eat in your diner? A recent story in the New York Times lays out the impact of "Triple D." Check it out.